This was an interesting film. I think this is the type of film that people either love or hate and it's not something you can really recommend to people since people need to enjoy these types of movies. I must give credit for really going into the mind of a serial killer in a realistic way. This wasn't a gore feast of an angry guy running around killing people. This was a very lonely man who felt bad for what he did and without a word he expressed how guilty he was and the mental anguish he felt for what he was doing. You could tell the guy hated himself for what he did and all of this was explained silently and realistically. The thing that sticks out the most when I think about this movie is character connection. I find in a lot of scary movies they just can't quite grab me on that one. 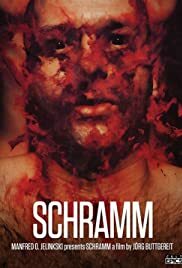 This movie I felt very connected to the character especially the serial killers friend and love, his neighbour the prostitute. I loved her character and really wanted to hear her story and see more of her. ZombieSteak.com - Discover a new world of horror films, designed just for you.